So there we were, on the city sidewalks—busy sidewalks dressed in holiday air. And all up in the air was this feeling of Christmas, right, with children laughing and people passing, with hella people offering, like, smile after smile. Strings of street lights blink that bright red and green, and shoppers rush home with their treasures, and it’s like, man, remember when we were all worried about Rick Perry? Such a distant memory now. Snow crunches, kids bunch, it’s Santa’s big scene. 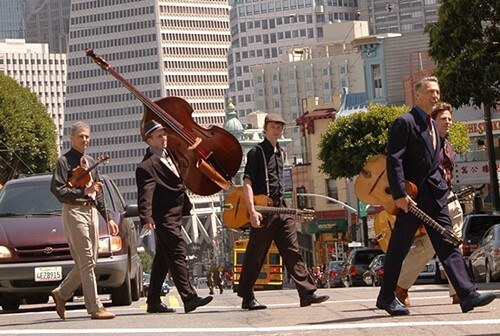 And above all this bustle you’ll hear the Hot Club of San Francisco playing on Thursday, Dec. 19, at the Napa Valley Opera House. 1030 Main St., Napa. 8pm. $20—$25. 707.226.7372.